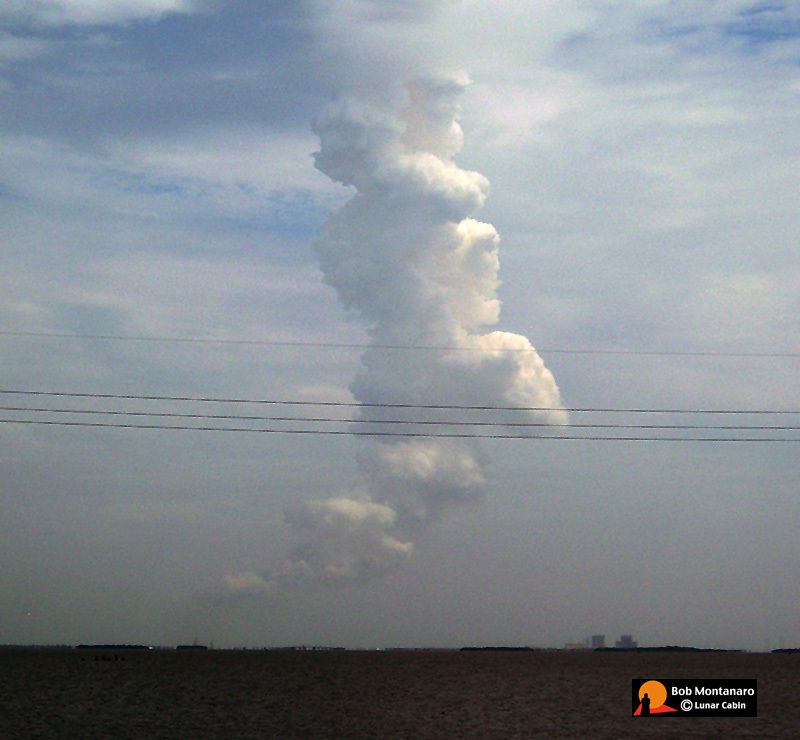 All that is left of the last Space Shuttle launch is the exhaust cloud hanging over the launch pad. A bittersweet reminder of thirty years of space flight history that will soon fade away into the wind. Another Space Shuttle Program operation passes into history on 10 July 2011 as the ships Liberty Star and Freedom Star return to Port Canaveral towing the Solid Rocket Boosters used to launch Atlantis into orbit two days earlier. 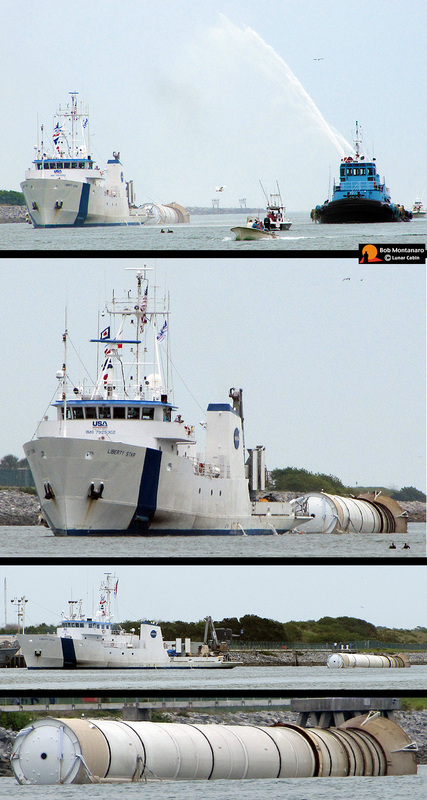 The images below show a tug welcoming Liberty Star into port with a fountain of water, along with other images showing the SRB in tow. The SRBs have the capacity to carry the entire weight of the External fuel Tank (ET), and orbiter, and to transmit the weight load through their structure to the Mobile Launcher Platform (MLP). The SRBs provide 71.4 percent of the thrust required to lift the space shuttle off the launch pad and during first-stage ascent to an altitude of about 150,000 feet, or 28 miles. At launch, each booster has a sea level thrust of approximately 3.3 million pounds and is ignited after the ignition and verification of the three Space Shuttle Main Engines (SSMEs). SRB apogee occurs at an altitude of about 230,000 feet, or 43 miles, 75 seconds after separation from the main vehicle. At booster separation, the space shuttle orbiter has reached an altitude of 24 miles and is traveling at a speed in excess of 3,000 miles per hour.